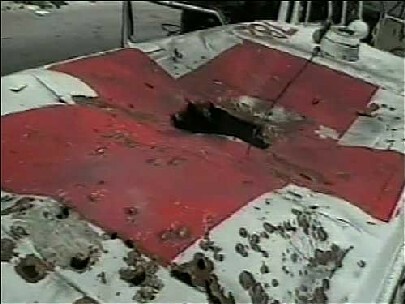 An ambulance hit outside Tyre. THank you...If you want to start an exchange of informations, i am a reporter from the international French press, in the USA. The support for Israel in this country, and worldwide is nauseating. But the truth will be heard, the Internet did much damage to the Bush administration, and i believe more damage is coming to the liars who have been empowering themselves for the last century ( at least). Any alternative, will see an alternative response. I hope the internet can damage him enough to get him impeached. As previously stated, nonymous posts will be removed. Thanks.